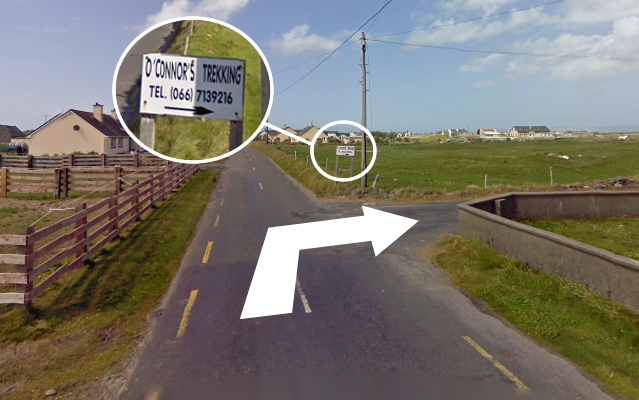 O'Connors Horse riding and Pony Trekking is located near the village of Castlegregory on the Wild Atlantic Way. Our horse rides take place on the stunning stretch of Brandon Bay on the Dingle Peninsula. Drive along the N86 then R560 to Castlegregory. From Castlegregory village drive out towards "Fahamore" also called "Maharees"
Our stables are located apprximately 3km from the Village on the right of the road.